Rangavis 1842–1843, 174; Biris 1966, 130–131; Petrakos 1987, 29; Zerefos et. al. 2013, 32–34. 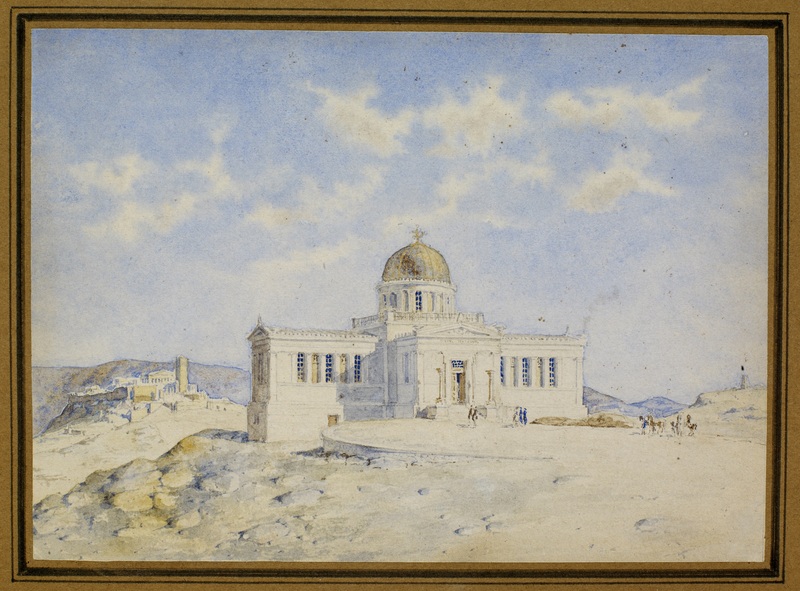 The façade of the Observatory of Athens, the Acropolis on the left at the far end and the monument of Philopappos on the right. Watercolour by Theophilus Hansen (1842).